Timing is everything…especially when you are planning the perfect wedding. There is a beautiful event venue to reserve, caterers to schedule, guest lists to make, invitations to order and send, a gorgeous dress to choose, fittings, vow decisions, an entire wedding registry to decide, cakes to taste, a honeymoon to plan and so much more! If it’s a destination wedding, keep in mind that you also have hotel room blocks to reserve. Most people plan their weddings one to two years in advance and book their church or temple and wedding reception venue as soon as they become engaged. Don’t worry if you don’t have that much time though. You can plan beautiful beach wedding in less time. However, remember that your RSVP date should be three weeks prior to the event. Your caterer will need guest counts well in advance of your event. So, at a minimum, you need to send out your invites six weeks in advance and set an RSVP date for two weeks before. Add time to choose and print those invites too. Caterers, flowers, the cake, bands, etc. should be booked months in advance if possible. Timing is also largely predicated on your wedding date. 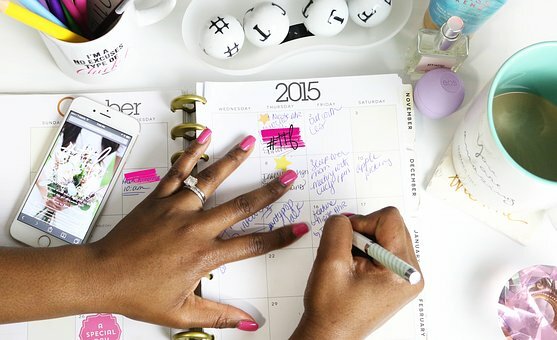 If the timing of your wedding is in high demand, give yourself some extra wiggle room for sure! And if this all seems too overwhelming, there is a place you can turn to for reliable wedding planning assistance. 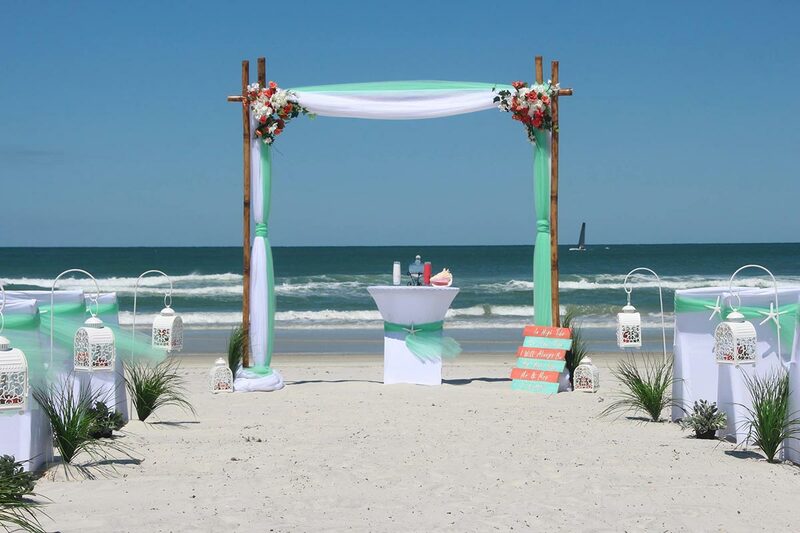 Affordable Beach Weddings is the Daytona Beach area’s trusted source for wedding planning that wows! Don’t lift a finger. Just tell us what you want and leave it all to Affordable Beach Weddings. Our extensive network of the area’s most exceptional special event vendors makes us the go-to, one-stop-shop for the wedding of your dreams. We work with only the best photographers, videographers, DJs, bands, caterers, florists and cake bakers, so you and your guests will enjoy every aspect of your special day. Call 386-428-0777 or 386-279-1179 or email eva@affordablebeachwedding.com for your free consultation. Also feel free to peruse our wedding packages on our website for some great ideas!